Get involved in the local community! Minds Matter Boston is a mentoring organization that pairs mentors with low-income, first-generation high school students to prepare them for college success. Currently, Minds Matter is looking to recruit more mentors of color and/or first-generation college student graduates who participate in Minds Matter. Minds Matter Boston believes it is extremely important for more of their mentors to reflect the backgrounds of the students they work with, so that students can realize their own level of potential through their mentor’s journey and success. If you’re interested in becoming a mentor or have an idea of someone who would be a good fit, you can visit Minds Matter Boston online to learn more and apply. For more information, contact Jada Alexander: jada.alexander@mindsmatterboston.org. BUILD’s mission is to use entrepreneurship to ignite the potential of youth from under-resourced communities and propel them to high school, college & career success. BUILD offers volunteer opportunities in Boston for business professionals looking to work with young people and perform meaningful community service. Mentors and volunteers help high school students in Boston launch real businesses and excel in high school, college, and beyond. As a BUILD Mentor, you will meet one afternoon or evening a week for 2 hours [October through June] to help students develop their own business ideas, write business plans, pitch to funders, and launch real businesses. This real-world business experience makes school relevant and motivates them to succeed. To help them become college-eligible, BUILD students also receive tutoring, test prep, and advising for their school-work and college application process. If you are interested in mentoring, you can fill out an application here. United Way Youth Venture is currently recruiting for mentors for a social entrepreneurship program for youth ages 16-20. The youth will work together in teams to create, launch, and manage their own community-benefiting business where they take their own ideas and put them into action. Each year this initiative engages 300 youth from Greater Boston and we need leadership from the mentors to support the teams throughout their business development journey. Youth Venture is looking for professionals in the Boston area that are interested in working with the youth to help them reach their full potential! The mentor position is a 6 week commitment of 2 hours per week from late October to early December and can be an individual or group volunteer opportunity. Training and support is provided to every mentor. Fore more information, contact: Cece Chung: cchung@supportunitedway.org. Interested to find individual volunteer opportunities? Sign up at Volunteer HQ. Have you ever considered becoming a Big Sister to a girl in our community? Big Sister Association of Greater Boston, our City’s premier mentoring organization for girls, needs women like you to step up to step up to be a friend and mentor to the next generation! There are more than 300 girls in the neighborhoods of Boston waiting to be matched with a woman who will listen, laugh, and have fun. Don’t think you have what it takes to be a mentor? Think again. It’s not about being perfect, it’s about being present. Big Sister Boston’s professional staff are there to train and support you every step of the way. Not only will you be making a difference in the life of a girl, you’ll have opportunities for personal and professional growth as a Big Sister Boston volunteer. Getting started is simple: visit www.bigsister.org today. serves an average of 500 poor and homeless men and women a day, 365 days a year. Basic, rehabilitative, and housing services overlap and build on one another to provide our guests with continuous and comprehensive care. 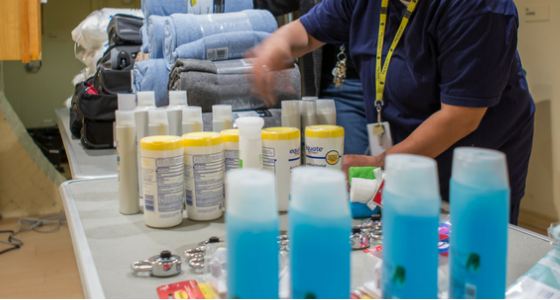 Whether they work in the kitchen, distribute clothing, or assist with mock interviews, volunteers help ensure the quality of services for Boston’s poor and homeless. If you would like to join them in helping the less fortunate, fill out a volunteer application. 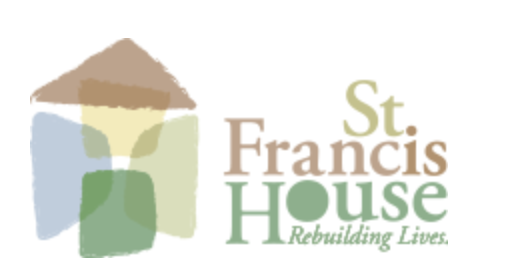 St. Francis House is a 501(c)(3) nonprofit organization, and our tax ID number is 22-2519129. Whether it’s funds, goods or time, your donations to are put to exceptionally good use. Pilgrim Church enjoys working with folks from a variety of settings. 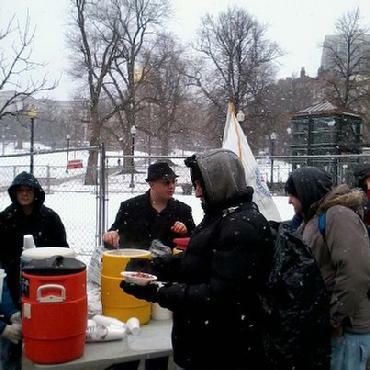 Pilgrim Church in Dorchester distributes food on Boston Common to those who need a free lunch through the “unCOMMON Outreach Program”. Volunteers and other support are needed to accomplish this ministry. 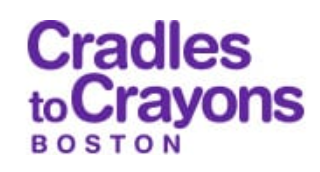 Volunteers gather at Pilgrim Church on Saturdays at 7:00 AM to prepare food, then go to Boston Common (by Brewer Foundation) from 8:30 AM – 9:30 AM. Pilgrim also offers a “Community Lunch” program on Saturdays from 12:00 PM – 1:30 PM. If you would like to volunteer, especially on a Saturday for unCOMMON OUTREACH AND/OR COMMUNITY LUNCH, please contact pilgrimchurch1862@yahoo.com or 617-282-0456. Women’s Lunch Place was started in November 1982 by friends Eileen Reilly and Jane Alexander, who saw there was a need among women who were homeless for a safe place to go during the day. Today, the dining room is open from 7:00am-2:00pm Monday through Saturday. Guests may access essential services and basic needs such as showers and laundry facilities, as well as a nap room. Medical care is provided by Healthcare Without Walls and advocates assist guests with issues related to domestic violence, housing, finances, legal matters, education, employment, substance use, and access to benefits. A resource center and library is available with access to computers and phones, the Internet, and office supplies. To volunteer, visit the website for more information or contact Ann: ann@womenslunchplace.org. 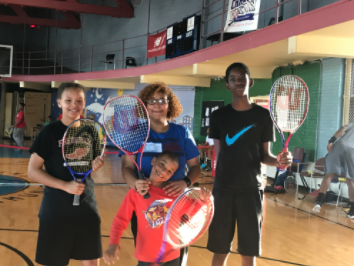 Bird Street Community Center provides high quality after school programs for children ages 5-13 and youth ages 10-22. The Center serves more than 1300 youth who primarily reside in Dorchester, Roxbury, Mattapan, Hyde Park and Jamaica Plain. The Center provides all of the wrap around services that develop well-rounded, healthy children, youth and young adults, including: academic support, leadership training and experience, workforce development and employment, arts & humanities, life skills, community service, violence prevention, case management, recreation and organized sports.